Motorola Moto E user guide manual – Motorola Moto E was released on May 2014 with for budget smartphone users with 4.3 inches qHD screen display. 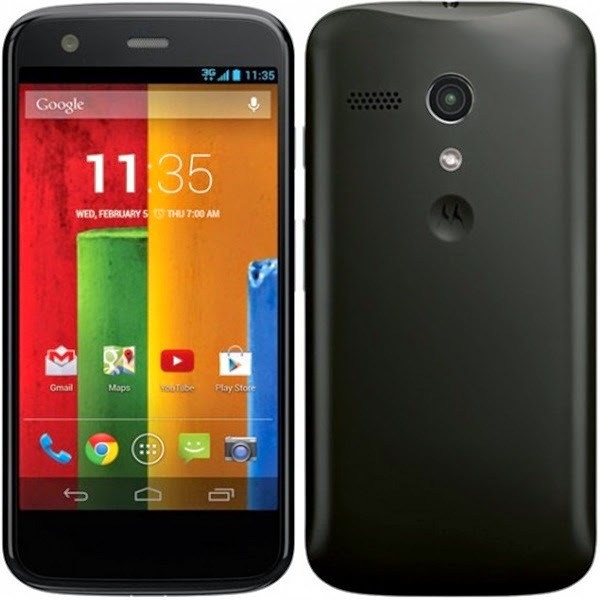 Motorola Moto E seems quiet similar with Motorola Moto G but come with lower price and 1.2 GHz dual core processor. Motorola Moto E come with some preloaded apps to make its users find advantages of the smartphone and easy to handle such as: Meet me/Foolow me, Location Status, Motorola Alert and Emergency mode. Motorola Moto E equipped with specifications and key features such as: 124.8 x 64.8 x 12.3 mm (4.91 x 2.55 x 0.48 inches) in dimension with 142 g (5.01 oz) in weight, 4.3 inches qHD capacitive touchscreen display 16 million colors 540 x 960 pixels screen display with multitouch and Corning Gorilla Glass 3 protection, microSD up to 32 GB, 4 GB internal storage, 1 GB of RAM, 5 megapixel main camera without its secondary, run Android 4.4.2 Kitkat operating system, powered by 1.2 GHz dual core Qualcomm Snapdragon 200 procesor, Adreno 302 and Li-Ion 1980 mAH battery non removable. Motorola Moto E pdf manual available to download in pdf file format with 2.0 MB size and contains of 68 pages. Motorola Moto E user guide manual will help users, owners and buyers with important information you need about the smartphone including key features, add functions, settings and some solution for troubleshooting.